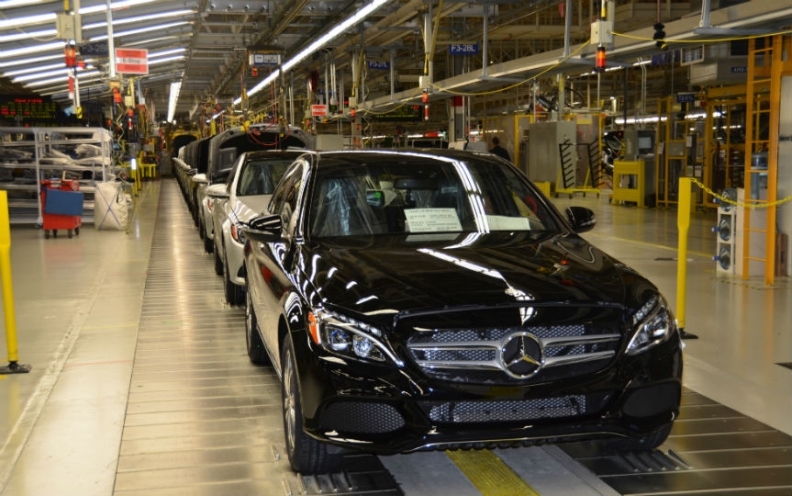 Production of the new Mercedes C class in Alabama. FRANKFURT (Reuters) -- Daimler will "significantly" raise production capacity at its U.S. plant in Vance, Alabama, from a current level of about 185,000 cars, as it adds new models including its Mercedes C-class sedan and a new sports utility vehicle. Daimler's push to expand vehicle production comes after U.S. car sales recovered to levels seen before the 2008 financial crisis and after rival BMW said it would raise U.S. production by 50 percent to 450,000 cars by 2016. Daimler on Wednesday said it had started production of the next-generation C class at the Vance plant. A Daimler spokesman declined to give a figure or a timeline for the factory's planned production increase, but said it will be "significantly above our previous capacity of SUV production." Last year Mercedes built 185,000 cars in Vance. Daimler is raising manufacturing capacity with the introduction of its C class as part of a global rollout of its best-selling model, which is already being produced in South Africa and Germany. The U.S. plant currently makes the M-class and GL-class SUVs. In 2015, Mercedes will start making a production version of the Concept SUV Coupe unveiled at the Beijing auto show earlier this year, the automaker said.